BUENOS AIRES, May 31 2018 (IPS) - With 80 percent of the population living in urban areas and a vehicle fleet that is growing at the fastest rate in the world, Latin America has the conditions to begin the transition to electric mobility – but public policies are not, at least for now, up to the task. That is the assessment of UN Environment, according to a conference that two of its officials gave on May 29 in Argentina’s lower house of Congress, in Buenos Aires. The shift towards electric mobility, however, will come inexorably in a few years, and in Latin America it will begin with public passenger transport, said the United Nations agency’s regional climate change coordinator, Gustavo Máñez, who used two photographs of New York’s Fifth Avenue to illustrate his prediction. The first photo, from 1900, showed horse-drawn carriages. The second was taken only 13 years later and only cars were visible. “As at other times in history, this time the transition will happen very quickly. I am seeing all over the world that car manufacturers are looking to join this wave of electric mobility because they know that, if not, they are going to be left out of the market,” said Máñez. Projections indicate that Latin America could, over the next 25 years, see its car fleet triple, to more than 200 million vehicles by 2050, according to the International Energy Agency (IEA). This growth, if the transition to sustainable mobility does not pick up speed, will seriously jeopardise compliance with the intended nationally determined contributions adopted under the global Paris Agreement on climate change, according to Máñez. The reason is that the transport sector is responsible for nearly 20 percent of the region’s greenhouse gas (GHG) emissions. In this regard, the official praised the new president of Costa Rica, Carlos Alvarado, who called for the elimination of fossil fuel use and for the decarbonisation of the economy. Máñez also highlighted that “Chile, Colombia and Mexico are working to tax transport for its carbon emissions. “This is an example of public policies aimed at generating demand for electric vehicles,” said Máñez, while another positive case is that of Uruguay, one of the countries in the region that has made the most progress in electric mobility, stimulating it with tax benefits. “But the region still needs to do a great deal of work developing incentives for electric mobility and removing subsidies for fossil fuels,” he added. In this respect, he asked Latin America to look to the example of Scandinavian countries, where electric vehicles already play an important role, thanks to the fact that their drivers enjoy parking privileges or use the lanes for public transport, in addition to other sustained measures. There are very disparate realities in the region. Thus, while electric vehicles have been sold in Brazil for years, the country hosting the conference is lagging far behind and only began selling one model this year. 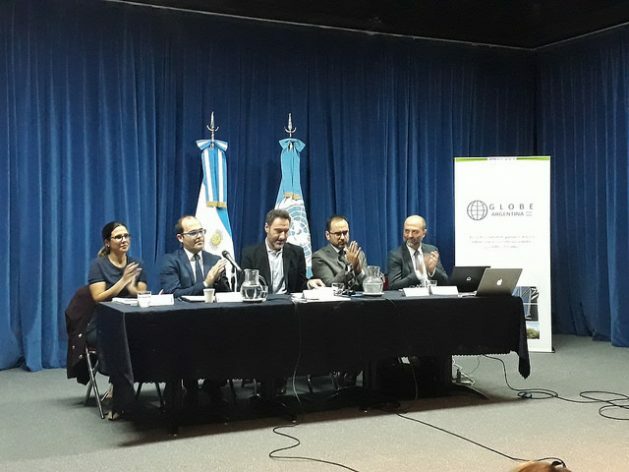 In fact, the meeting was led by Argentine lawmaker Juan Carlos Villalonga, of the governing alliance Cambiemos and author of a bill that promotes the installation of electric vehicle charging stations, which is currently not on the legislative agenda. “The first objective is to generate a debate in society about sustainable mobility,” said Villalonga, who acknowledged that Argentina is lagging behind other countries in the region in the transition to clean energy. Argentina only started a couple of years ago developing non-conventional renewable energies, which in the country’s electricity generation mix are still negligible. 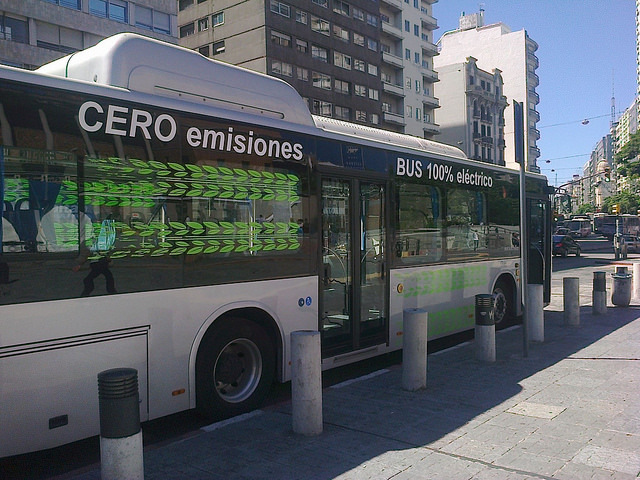 As for electric mobility, the government of the city of Buenos Aires hopes to put eight experimental buses into operation by the end of the year, as a pilot plan, in a fleet of 13,000 buses. Combating climate change is not the only reason why electric mobility should be encouraged. “Health is another powerful reason, because internal combustion engines generate a lot of air pollution. In Argentina alone, almost 15,000 people die prematurely each year due to poor air quality,” said José Dallo, head of the UN Environment’s Office for the Southern Cone, based in Montevideo. “There is also the issue of energy security, as electricity prices are more stable than the price of oil,” he added. In 2016, UN Environment presented an 84-page report entitled “Electric Mobility. Opportunities for Latin America,” which noted the change would mean a reduction of 1.4 gigatons in carbon dioxide emissions, responsible for 80 percent of GHG emissions, and savings of 85 billion dollars in fuels until 2050. Along these lines, the experience of Chile through the Consortium Electric Mobility, a mixed initiative with the participation of the Ministry of Transport and scientific institutions from Chile and Finland, was also shared during the conference in Buenos Aires. He explained that there will be 120 electric buses operating next year in Santiago and that the goal is 1,500 by 2025 – more than 25 percent of a total fleet of nearly 7,000 public transportation units. “There are many aspects that make it easier to start with public buses than private cars,” Lopez said. “On the one hand, buses run many hours a day so the return on investment is much faster; on the other hand, since they have fixed routes, it is easier to install recharging systems; and autonomy is not a problem because you know exactly how far they are going to travel each day,” he said. One example of this is Uruguay, where electric taxis have been operating since 2014, and since 2016 a private mass transit company has a regular service with electric buses. In addition, a 400-km “green route,” with refueling stations every 60 km, was inaugurated last December. As for the cost of electric vehicles, Máñez assured that China, which leads the production and sale of electric vehicles, is now close to reaching cost parity with conventional vehicles. In this sense, the official also spoke of the need for Latin America to develop a technology that is currently underdeveloped. He highlighted the case of Argentina, which is not only a producer of conventional vehicles, but in the north of the country has world-renowned reserves of lithium, a mineral used in batteries for electric vehicles. The question is that lithium is exported as a primary product because this South American country has not developed the technology to manufacture and assemble the batteries locally.